You Put a Carrot Where?! This weekend was a fun one, but tiring. I had an amazing time on Friday with a bunch of friends at a favourite local bar, Imbibe. They have some great craft beers which are different all the time. There aren’t a lot of vegan food choices, but I made do (salad and a stack of tofu, anyone?). Saturday was actually pretty relaxing, and after a short hike on a nearby trial with my beau, we were off to uptown for a coffee and lunch. We tried a new place, “Zoup!“. I had a 7 bean soup and a vegetarian sandwich with hummus, hold the cheese. It was pretty tasty and soup-er satisfying. Unfortunately I didn’t get any pictures since I have a very old non-smart phone and didn’t have my camera. 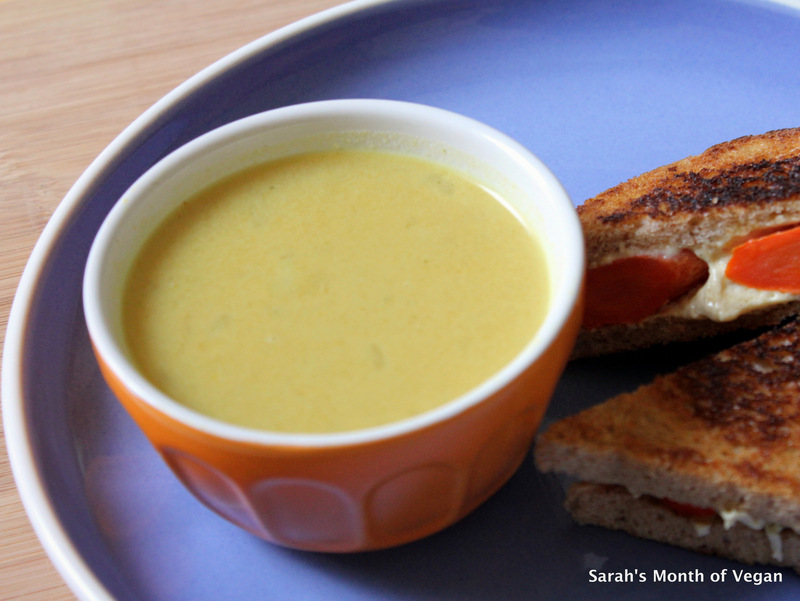 This Sunday I got up to some light cooking and had a delicious lunch of soup (again with the soup!) and sandwich. I had some pureed squash/pumpkin in the freezer that I cooked up back in the fall. With a diced onion, some grated fresh ginger, a few spices and a can of coconut milk I was on my way. 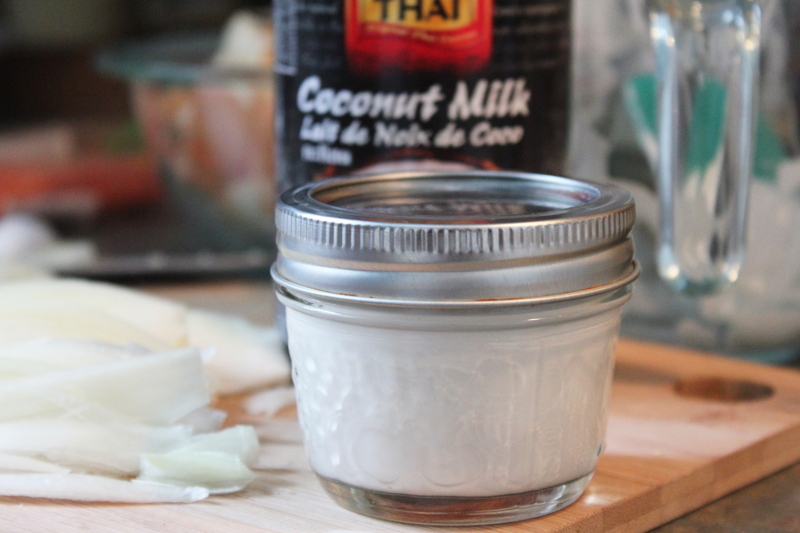 The coconut cream I saved from making the soup. The best vegan “cheese” I’ve tried. I was craving a grilled cheese. “How does one make a vegan grilled cheese?” you ask? I used a vegan shredded “cheese” available at many supermarkets near you. Besides being dairy free, it’s also casein, soy, and gluten free, and made with non-gmo expeller-pressed oils (which is good). It’s not health food by any means, but if you’re hankering hard for some cheese, then all (vegan) things in moderation. 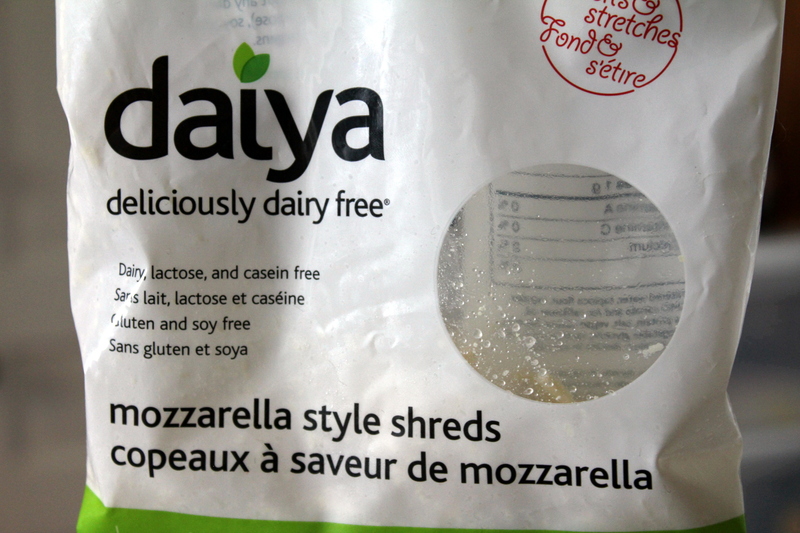 The brand, Daiya (pictured right), is gaining popularity with dairy-free eaters everywhere. But where does the carrot come in, you ask? 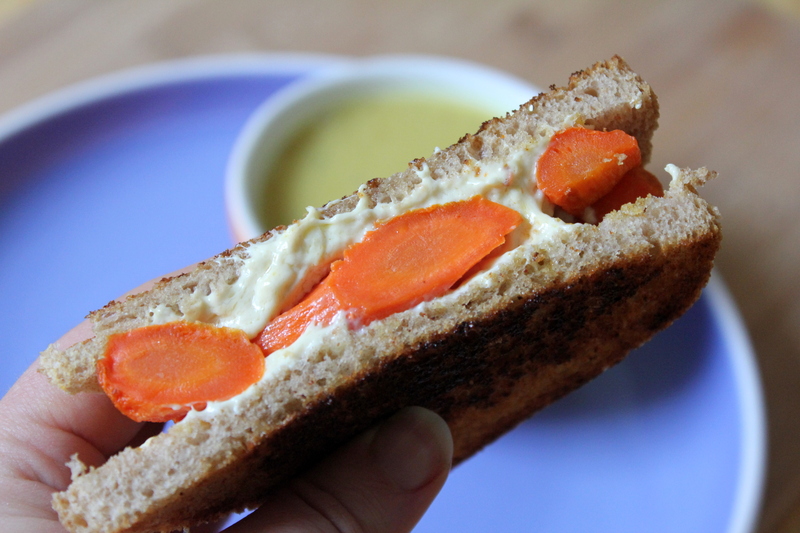 The carrots in the grilled cheese idea came from Candice, The Edgy Veg. I’ve been following her youtube videos for a while and haven’t tried too many recipes yet. However, this grilled cheese has become a new favourite. 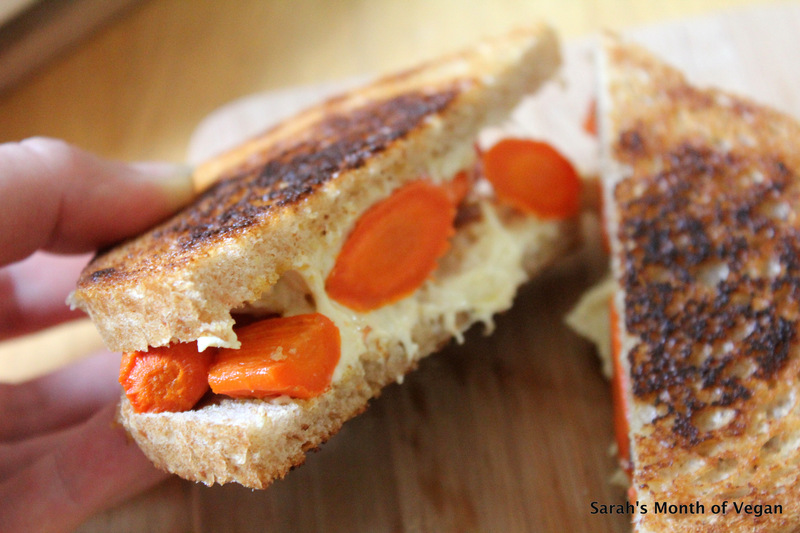 It’s made like a standard grilled cheese, but using vegan buttery spread, Daiya, and roasted carrots. I can’t get enough of the carrots. It seems odd, I know. 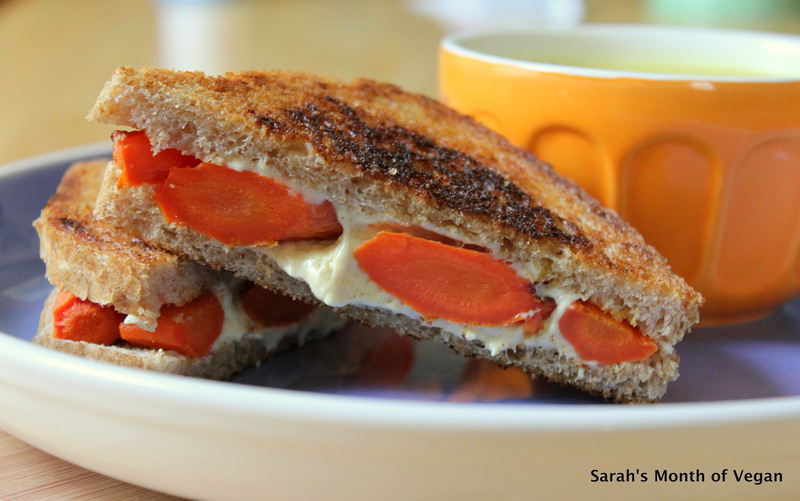 Carrots in a grilled cheese? But the roasty/sweet flavour and firm texture just adds a little something extra. Try it. I dare you.